Switch to OST to PST Converter For Better Results! I have seen many times that users are searching for the solution to convert OST to PST format. In addition, the other popular question when it becomes necessary to export OST file to PST format. No doubt that the internal structure of both OST and PST is same but still a user cannot open OST file in any other Outlook account. After understanding all these situations, in this blog, we have discussed why and how to convert OST to PST without software. OST and PST are the two data files supported by Outlook. One of used to store Outlook mailbox data on the local machine. And, other is created when an IMAP account or Exchange Server is configured with Outlook. Unlike PST, a user cannot access OST file in any other profile other than that has created it. One can export it to PST format and access it any Outlook account. 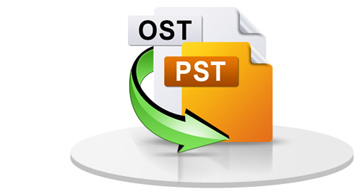 In order to know how one can export OST file to PST format, continue reading the blog below. Whenever there is a requirement of OST to PST Conversion, users mostly search for a free solution. They do not want to go for any software to perform the task. This section of the blog will let users know about a manual solution for the same. Now, Import and Export Wizard dialog box will appear on the screen. Here, you need to choose Export to a file option. Click Next to proceed further. At last, click on the OK button to begin the process. Unable to Recover Data from Orphaned OST File: If your OST file is not connected with an Exchange Server or your account is deleted, then it is an orphaned OST file. However, there is no manual solution available that can migrate orphan OST to PST format. 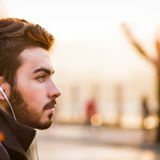 Accessible in the Same Exchange Account Only: The major drawback of OST file is that it cannot be accessed in the Exchange account other than for which it is created originally. It means only original Outlook user can export OST file to PST format manually. Unable to Export Corrupt or Damage OST File: A user cannot open corrupt or damage OST file in the Outlook email client. Thus, in this case, also, a user is unable to transfer OST to PST manually. Does Not Maintain Folder Hierarchy: If a user goes for manual methods to convert OST to PST, then it does not maintain folder hierarchy in the resultant PST file. Apart from this, the location OST file is different in all Outlook versions. Therefore, sometimes it becomes really difficult for the user to locate it. Thus, considered as a time-consuming process. After going through so many limitations of converting OST to PST without software, a user is suggested to drop that idea. Switching to a professional solution will be a smart move to avoid all the above drawbacks. The OST to PST Converter is one such application that let users Export Outlook OST to PST in a seamless manner. It moves all data items like contacts, calendars, notes, etc., from the OST file. The major highlight of this application is that it recover deleted items also and decrypt OST emails from SMIME and OpenPGP encryption. Whenever a user thinks about how to convert OST to PST without software, manual solutions are the first choice. However, converting OST to PST without software has so many limitations. Therefore, a professional solution is also recommended above that one can try for desired results in all possible situations. Previous Previous post: Corporate FD vs Bank FD: Which is better?